Welcome home to the Exclusive Gated community of Johns Landing! 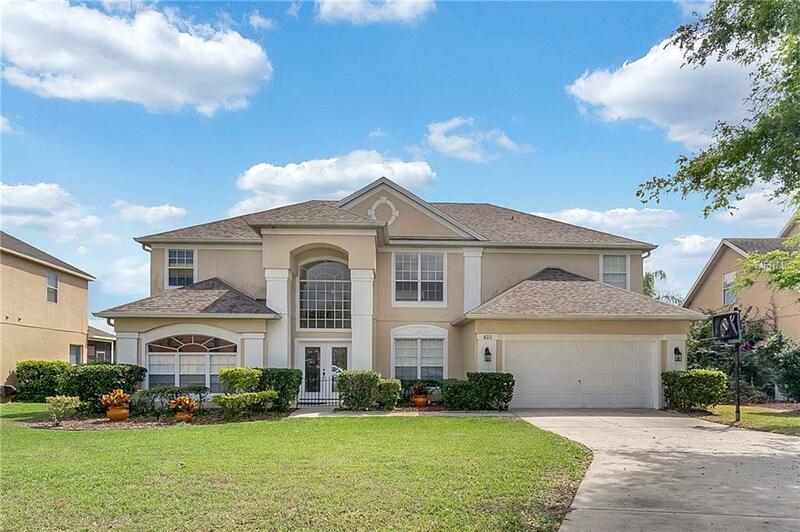 Driving up, you notice the long driveway, the spacious front yard, and grand covered front patio. 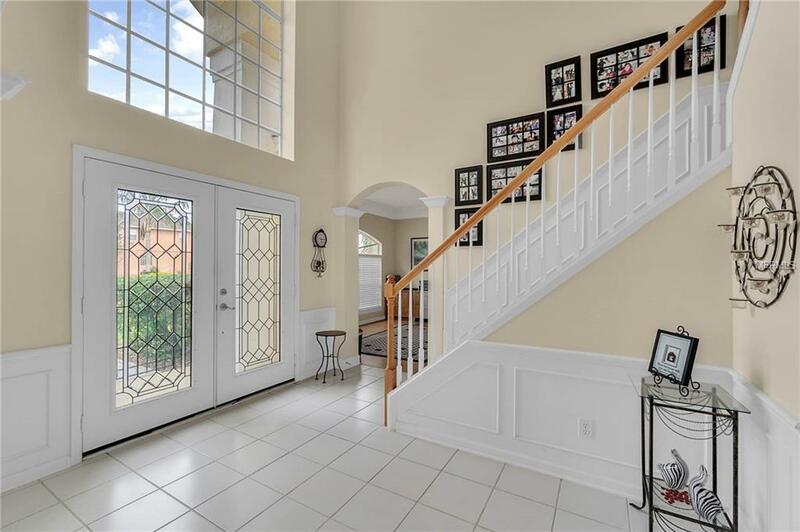 As you step into the entry foyer, you will be awe struck by the high ceilings, the open feel, and the creative architectural implements of arches and columns. 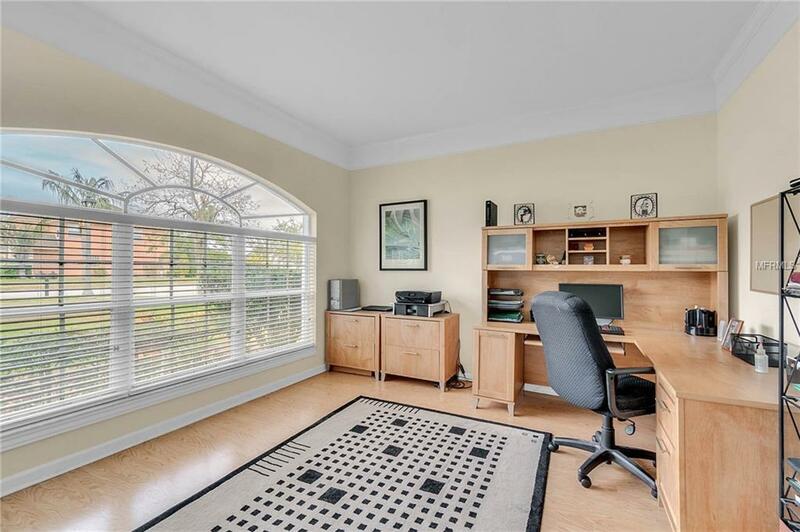 Off the entry to your left, you have a formal living room area which is currently configured as a home office and to your right you have the formal dining room. The kitchen features 42inch upper cabinets, a large center island with storage and power, as well as a built in work station and walk in pantry. The owners suite is the first of 5 bedrooms, is located on the first floor behind the family room, and features an ensuite with double sinks, large soaking tub, walk in shower, and large walk in closet. At the top of the stairs, you have large loft area which is PERFECT for a second family room or media room. The 4 bedrooms are split in pairs and are like master suites on opposite ends of the second floor and each are convenient to the 2 upstairs Full Baths. All 4 are like master suites, and could easily fit a king bed in each, and all have walk in closets! Heading downstairs the Florida room is nearly the entire length of the back of the home and is fully enclosed. 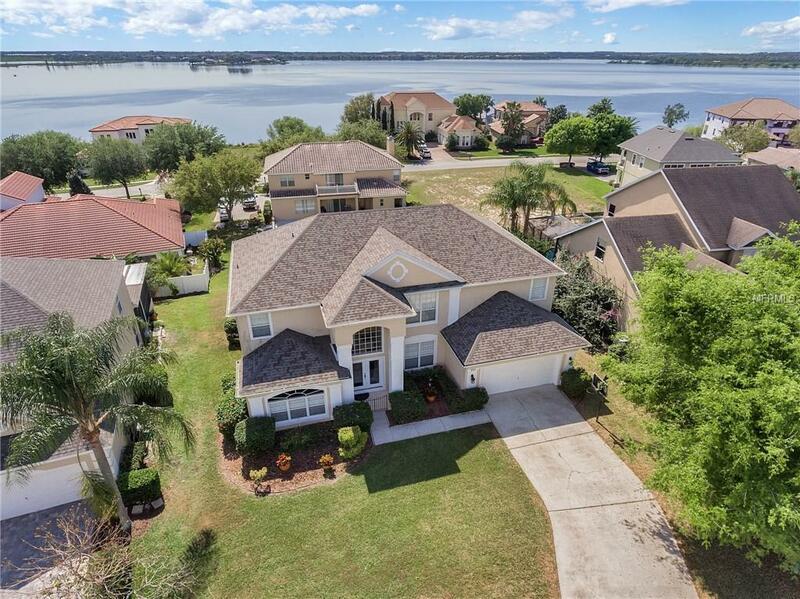 You have views of Disney Fireworks and Johns Lake from the upstairs windows and lake views from the Florida Room as well. Community amenities include a private boat launch to beautiful John's Lake, tennis courts & playground.